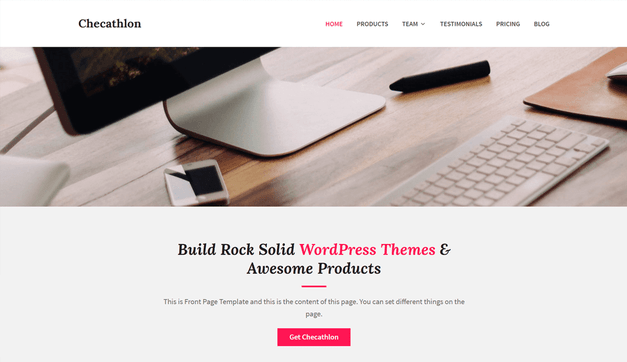 WordPress theme designer and developer Sami Keijonen has made all of his theme and plugin products at Foxland available for free. Keijonen’s WordPress.org-hosted themes are active on more than 10,000 websites. During the past three years he began taking on more client work, which gave him less time for theme building and maintenance. Last month he accepted a front-end engineer position at 10up that is keeping him busy. Fans might remember Keijonen’s Mina Olen Free WordPress Theme Experiment when he made the theme available for free on GitHub to see if potential customers would be inspired to purchase after being able to test drive the theme on their own sites. At that time he said he struggled to support his theme shop, because the business aspect of it wasn’t one of his strengths. It’s easy to get lost in all the competition in the WordPress theme industry, especially when major players have more money to drop on advertising and support staff. The days of building a beautiful theme and selling it without any kind of marketing are long gone. Prospective theme developers have to be ready to embrace the challenges of competing in a much wider market in 2018. Customers appreciated Keijonen’s attention to detail, accessibility, and performance. Respected WordPress theme author Tung Do said Keijonen’s themes are “great examples of best practices.” Many of them also include support for popular plugins. For example, Checathlon, one of his best works, is active on foxland.fi. It offers built-in styles for Easy Digital Downloads (including product and account pages), Custom Content Portfolio, and Jetpack (testimonials, portfolio, and email subscription widget). The Foxland collection includes several beautiful minimalist free themes with previously-pro versions that enable additional Customizer settings, page templates, and widgets. All of Keijonen’s custom plugins (created to accompany the themes) are also available for free. The Foxland shop has cancelled all the recurring subscriptions but will continue to support existing purchases up to a year from the purchase date. Keijonen said he will maintain most of the old themes and plugins with small updates coming in the future but plans to deprecate some as well. The landscape of WordPress theming is about to change quite a bit when Gutenberg is merged into core. Keijonen said he plans to embrace these changes by creating new free themes with Gutenberg support, built on more modern code.